Below is the detailed description of the Rubaiyat of Omar Khayyam which is a book that consists of poems and stanzas by Omar Khayyam, a Persian mathematician, and astronomer. 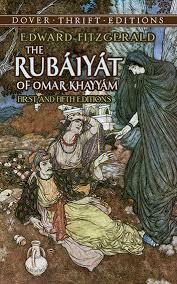 Rubaiyat of Omar Khayam is the English Translation of his 10th century Farsi writing. Who wrote Rubaiyat of Omar Khayyam? The Rubaiyat of Omar Khayyam was written by Edward FitzGerald. Rubaiyat of Omar Khayyam was is actually a series of translated poems by Omar Khayyam, manuscripts of which were discovered by Edward Cowell, who was a translator of Persian poetry and the first ever Sanskrit professor and language trainer in the Victorian Era. Due to a lot of other commitments, he dropped the idea of translating Khayyam’s manuscripts. This was noticed by a British poet and writer – Edward FitzGerald who later took up the responsibility of digging the gold in these manuscripts even after being not as well of a Farsi speaker than Edward Cowell. 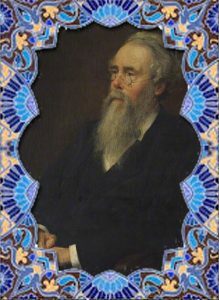 Cowell trained FitzGerald in translating Persian to English. He also trained him in Spanish and had him translate a Spanish book to English and two other Persian books before the Rubaiyat of Omar Khayyam. 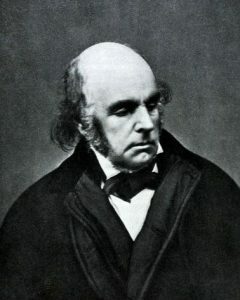 Edward FitzGerald was an 18th – century British poet and writer who wrote the ‘Polonius’ and ‘Euphranor’ in the mid 18th – century. He studied Spanish poetry in 1850 and then Persian literature in the year 1853 from Edward Cowell at the University of Oxford. While Cowell was in India, he discovered the manuscripts of Omar Khayam in an Arabic Society’s library in Calcutta, India. They were immediately posted to his mentee – Edward FitzGerald who started working on the translation. The book was published in 1859 and was expected to be a hit. However, that did not happen. The book did not gain as much as fame and attention as it should have. Edward had a notable love for the sea. He bought a yacht in the year 1863 and called it the ‘Scandal’. He married a woman named Lucy, who he knew from a long time but the marriage took place only as a result of Lucy’s fathers dying wish. This marriage did not work out and they separated in 2 or 3 months of their marriage. He died in 1883 when he was 74 years of age in Norfolk, England. 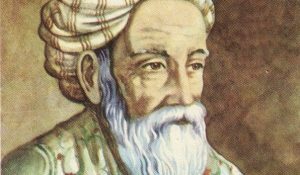 Omar Khayyam was a real person, a noted astronomer and a mathematician of the 10th century. He also wrote poems, manuscripts of which were discovered by Edward Cowell as mentioned earlier. He was born in the northeastern part of Iran in a time that witnessed the First Crusade. He built the Jalali calendar which is an accurate 33 – year embolism cycle. For mathematics, he is known for understanding the parallel axiom and providing the solution to a cubic equational problem. Omar Khayyam was a Farsi converted Islam man. Only when he was a young boy, his talents were recognized by his tutors – Imam Muwaffaq Nīshābūrī. When he grew up, he was known to be an intelligent boy. He was then appointed as the advisor of the Sultan of the Seljuk Empire, Malik Shah I. After the death of Sultan Malik Shah, he made a trip to the pilgrimage of Mecca. His theories in mathematics and astrology had reached high bars and were much appreciated by all of the middle east. In his later life, he was appointed the court astrologer for Sultan Sanjar. He died in the year 1131. His grave lies at the Khayyam Garden built in his honor. The book was published in 1859, and at the time of its publishing, it did not do so well. However, it was later noticed by the founder of the Pre Raphaelite Brotherhood, Dante Rossetti. Dante popularised the book among his Pre Raphaelite community in 1861. There were five editions of the book published at different times. The 1st edition came out in the year 1859 and had 75 quatrains. The 2nd edition came out in the year 1868 which is almost a decade after the first edition and had 110 quatrains. The 3rd edition was found in 1872 with 101 quatrains. This version was again printed in 1878, and was called the “first American edition”. The 4th edition came in the year 1879 and had 101 quatrains. The last edition and the 5th edition was finally published in 1889 with very minute changes added with the same 101 quatrains. Quatrains are stanzas of four lines with an alternate rhythm. Many more translations of the manuscripts have been made but FitzGerald’s one is the one commonly referred to.